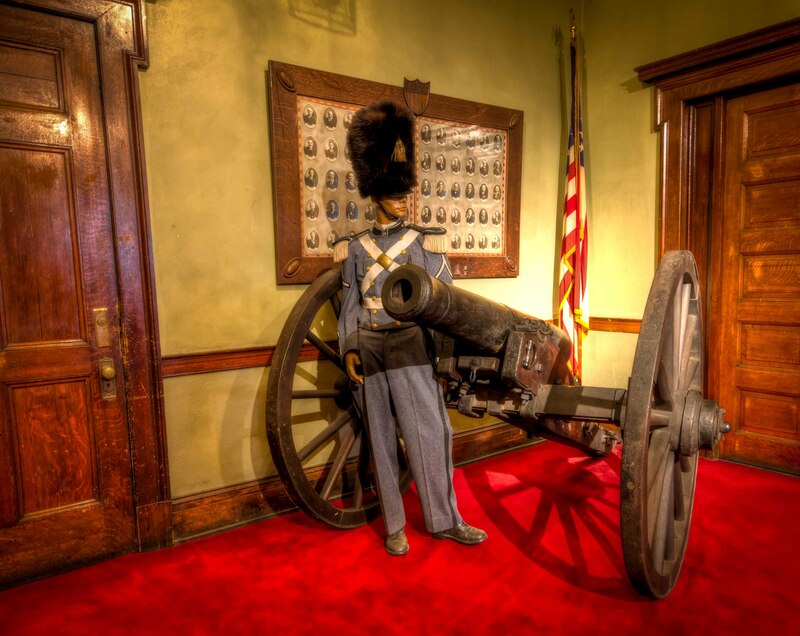 Today’s photo is of the Civil War Cannon located inside Gray’s Armory. The Secesh Cannon was captured by Northern troops during the Civil War. The iron barrel with a 3-inch bore was manufactured in 1861 for the state of North Carolina at Joseph Reid Anderson’s Tredegar Foundry in Richmond, VA, and bears the number 1151. It is on permanent display on the ground floor of Grays Armory in Cleveland. The piece may be the only surviving captured Southern Civil Cannon in any Northern City. Confederate cannon in existence in any major northern city. Confederate cannon in existence in any major northern city. From the Gray’s Armory website: “Since 1837 when 118 brave men adopted the motto, “Semper Paratus,” (Always Prepared) and where chartered in as an independent militia the Cleveland Grays and their friends have made history. From 1792 to 1903 state and federal law authorized independent militias, private volunteer groups that supplemented the official state militia, and served the community in all the ways that the National Guard does today. The Richardsonian Romanesque Revival-style Armory was built in 1893. Within its imposing walls the armory has also made history by hosting Cleveland’s finest events and its people. This included the first concert by John Phillip Sousa and Cleveland’s first Auto Show”. This entry was posted on Friday, March 9th, 2012 at 8:59 am. You can follow any responses to this entry through the RSS 2.0 feed. You can leave a response, or trackback from your own site.